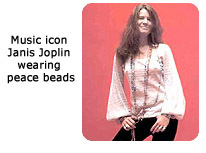 Peace Please is proud to present this special product from Peace Beads™. Peace Beads™ is committed to generating global peace, envisioning a world in which every human being may enjoy freedom and self-expression. Today's Peace Beads™ symbolize this vision, given by one person to another in the same spirit that made original peace beads popular in the 1960s. Specially crafted by Native Indians of the North American High Plains, Peace Beads™ are made with seven gemstones, gifts of the earth chosen for their beauty and unifying energy and designed to represent each of the seven continents. 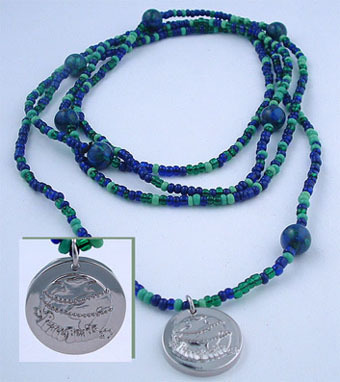 The unique blending of beads and gemstones represents the blending of people worldwide.